Osteoarthritis (OA) is the commonest form of arthritis in the Western world, and is the leading cause of disability in older adults, with the hand being one of the most frequently affected sites. Evidence of effectiveness for self-management of hand osteoarthritis is lacking. In this randomised, factorial trial, we evaluated the effectiveness of joint protection versus no joint protection, and hand exercise versus no hand exercise in adults, 50 years of age or older, with hand osteoarthritis. The findings of the SMOotH study has shown that occupational therapists can support self-management in older adults with hand osteoarthritis, and that joint protection provides an effective intervention for medium term outcome. 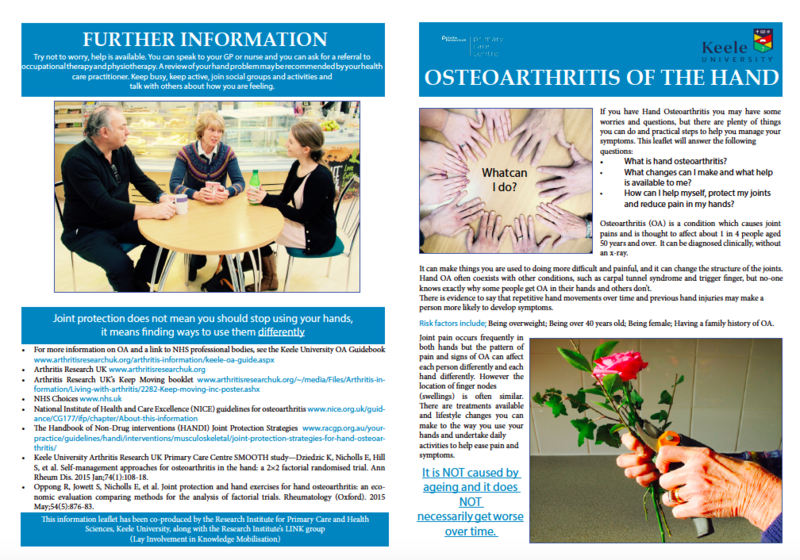 Occupational Therapy and Arthritis: How can Occupational Therapist Help?